Washed-out roads and bloated rivers are just two of the challenges facing relief workers who are trying to assess the damage caused by flooding in Myanmar, which has already killed 27 people and affected at least 150,000 and is expected to get worse. Myanmar’s government declared a state of emergency in four areas that have been inundated by heavy monsoon rains. A cyclone that formed in the Bay of Bengal unusually late in the year has worsened flooding in the western states of Rakhine and Chin over the past few days. Social media users have speculated that the flooding is the worst to hit Myanmar in decades, but the extent of the damage remains to be seen as authorities are having a hard time reaching many areas. “We are expecting the number of both fatalities and people affected to increase as information comes in,” said Pierre Peron, a spokesman for the UN’s emergency aid coordination body, OCHA, in Myanmar. He told IRIN that assessment teams had not been able to travel to parts of Rakhine state because they are only accessible by rivers, which are swollen and filled with debris, making them largely unnavigable. 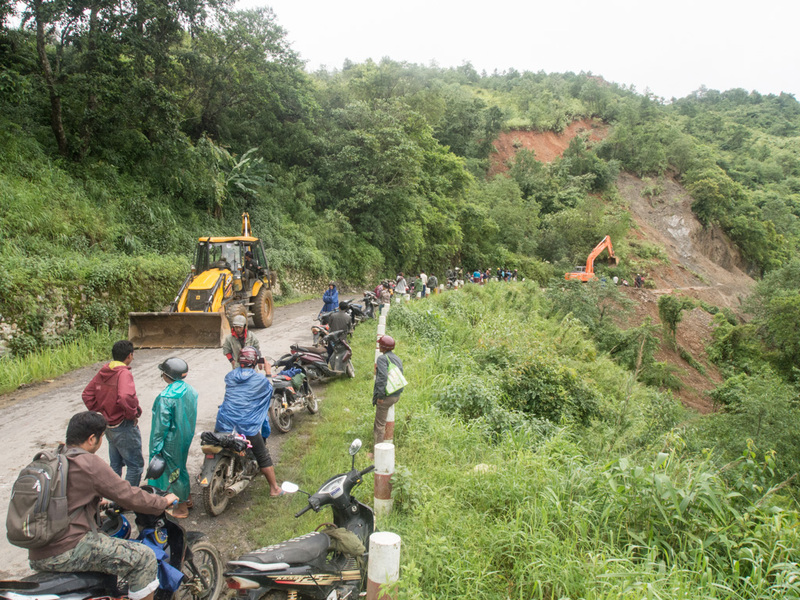 In mountainous Chin State, landslides have cut off road access completely to some areas where supplies of food and fuel are dwindling. Residents of the state capital Hakha, where authorities say 700 homes were destroyed by landslides, told IRIN the price of a bag of rice had increased from 35,000 kyats (about US$35) to 100,000 kyats over the past few days, while charcoal and gasoline had seen similar increases. Food supplies are also running low in Falam, a town about 100 kilometres north of Hakha, where large sections of road have collapsed, cutting off access to the city of Kalay in neighbouring Sagaing Region, where some houses are completely submerged. President Thein Sein has promised that the government will expedite efforts to repair roads and send emergency supplies to Chin State, the state-backed Global New Light of Myanmar newspaper reported. The geographical sweep of the flooding has also confounded relief efforts, as waters rose in areas on the western frontier with Bangladesh, and in the east bordering Thailand. Water has also inundated northern areas near the border with China, as well as parts of central Myanmar where flooding is uncommon. The extent of the flooding is expected to spread. The Meteorology and Hydrology Department warned on Monday that most of the country’s rivers had already reached or exceeded their flooding point, while the weather bureau forecasted more rain throughout the country. Rising water levels are likely to cause flooding in areas further downriver from those where flooding has already occurred, said Peron of OCHA. Flooding has also reportedly led to deaths in India and Vietnam. In Pakistan, floods have killed 161 people and affected more than 750,000, the National Disaster Management Authority said on Sunday.